This image shows the new membrane going onto the new parapet walls. 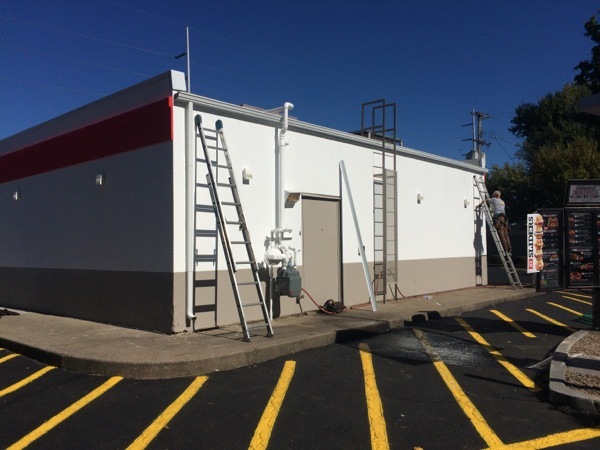 The Breckenridge Arbys had a flat roof done, white rubberized roofing membrane called TPO. TPO stands for Thermoplastic Polyolefin and is in a broad family of rubber roofing material. 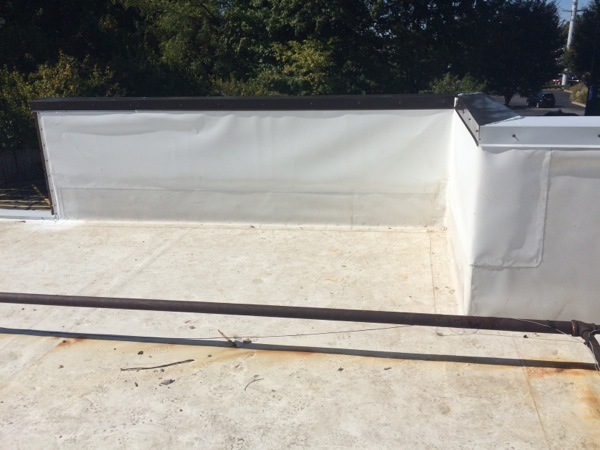 We work with many types of TPO roofing membrane and understand how to make lasting repairs on them. The Breckenridge Arbys' roof repair took a 6 man crew just one full day to complete. 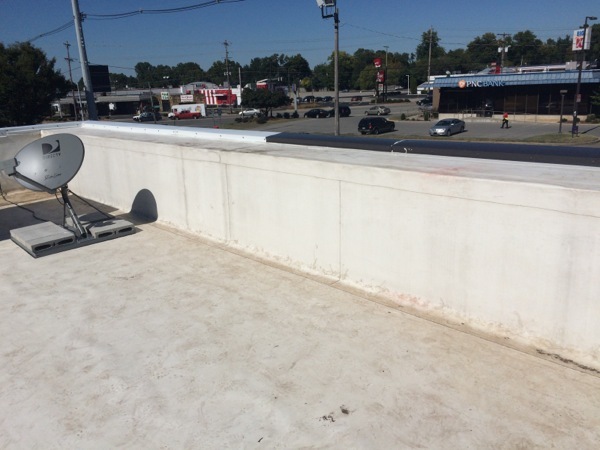 After we had cleaned and prepped the existing TPO we installed new membrane over the new parapet walls. Our sheet metal workers were right behind us installing the new metal coping. Once the new metal roofing trims were installed our men quickly moved onto removing the old gutter and hanging the new commercial style gutter and new downspout. 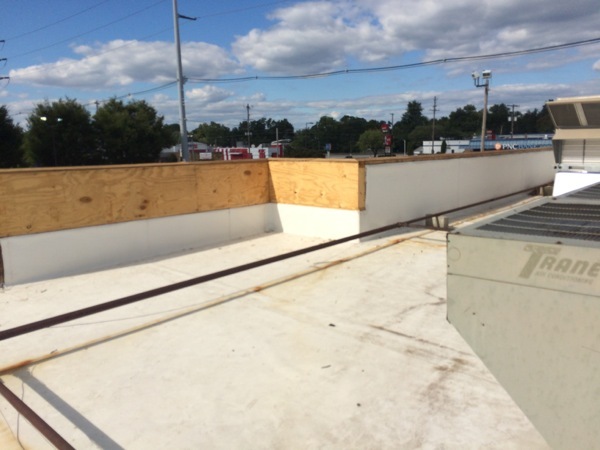 We inspected our flat roof repairs, freshen up the existing roof sealants around termination bars, and made sure the drains and new gutters were clean and flowing properly before we were headed to the next one. This image shows the new coping cap. This image shows the new membrane.